We encourage all our children to actively participate in school life. They all have the opportunity to be part of our school democracy and vote for our School Council, to participate in democratic processes in class throughout the year and to take a lead role in their own learning - often directing the learning through the questions they ask. Children agree their own class rules in September. Once agreed, these are all signed. Each class agreement can be seen on the class page. We are proud of the input children have in our curriculum. Within agreed topic themes, children can direct the learning with their questions. They love answering their own questions and questions asked by their friends during topic; teachers are allowed to ask questions for the class to answer too! We listen to the voice of our children. The School Council lead on a number of decisions each year. Children are confident to ask to lead charity events throughout the year and they also raise suggestions to help impact on their learning. We are pleased to take these on board where we can. We use pupil surveys to check all our children are happy at school, find out what we are doing well and what we need to further develop. Like most people, they also have a wish list! We are struggling to find a way to extend our playground or hall even though children often ask for those improvements. We also ask questions - or sometimes let the School Council lead the surveys - to find out what children think of different subjects at school and how policies are working. Some subject views are on this page. Children take learning seriously but they also have strong beliefs about fairness which they feel should be applied. Writing in Year 5 following snow days recently helped develop those clear views and ways of sharing opinions appropriately in society. The children wrote letters to the governors to persuade a change of views but a petition was also created in order to show the strength of feeling to the motion that year 5 should make up the snow days during their Easter holidays. Children debated the motion regarding Britain voting leave or remain. They even later quizzed the Mayor about it on a visit to school. Our children enjoy school and celebrate our curriculum. 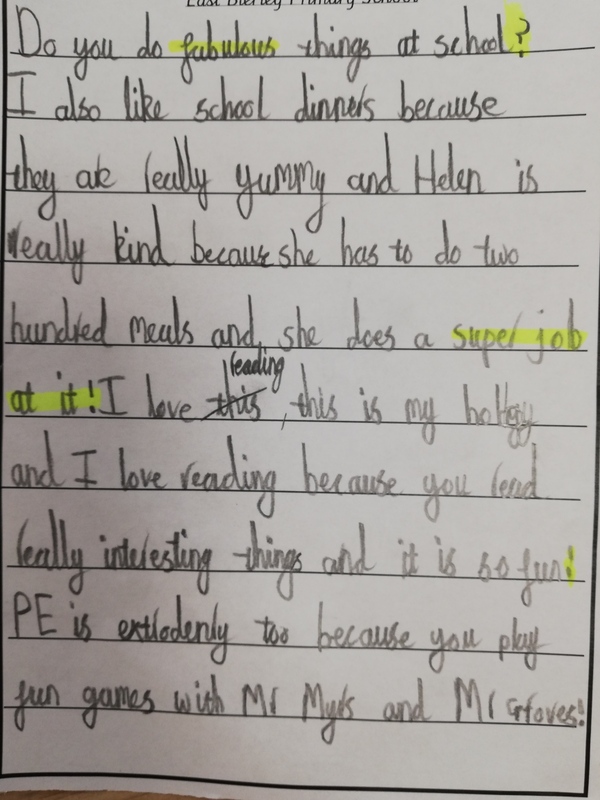 Year 2 wrote their about their favourite parts - such super feedback for Helen, our cook, too! I'm excited abut when we get some chickens from the eggs - George. Hudson – I love how in PE we have quick games so you’re never sitting down and are always participating in a range of different activities. We are lucky to have such top quality teachers. Katie – We have been lucky enough to play a wide variety of different sports this year. My favourite has to be when we played Quidditch; chasing the golden snitch around the hall was so much fun. Jessica – My favourite part of PE is the different range of sports and activities that we do. So far on a Wednesday afternoon we have played: Netball, tri-golf and zone ball. I look forward to having PE. 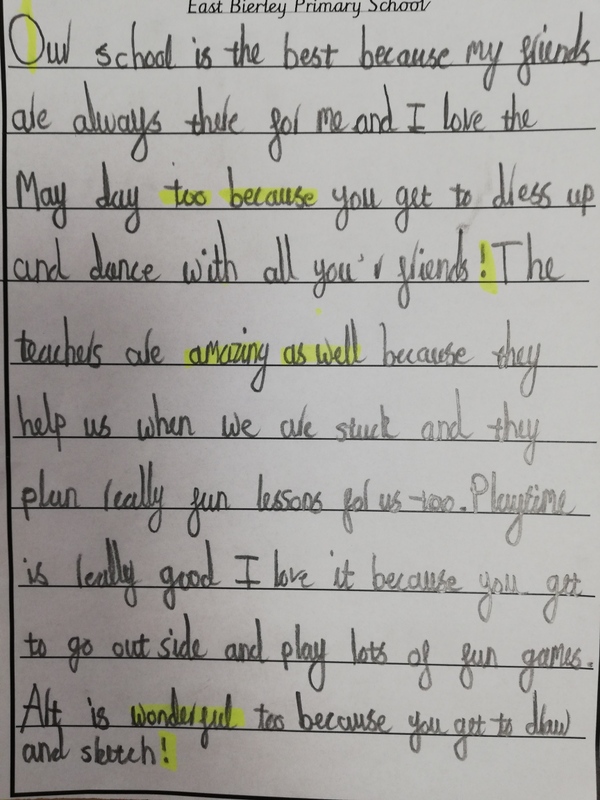 Jack – PE is so much fun and excellent exercise. Because of PE at school I now play rugby at Birkenshaw Bulldogs. Zartash – I love PE lessons. We get to play fun games. 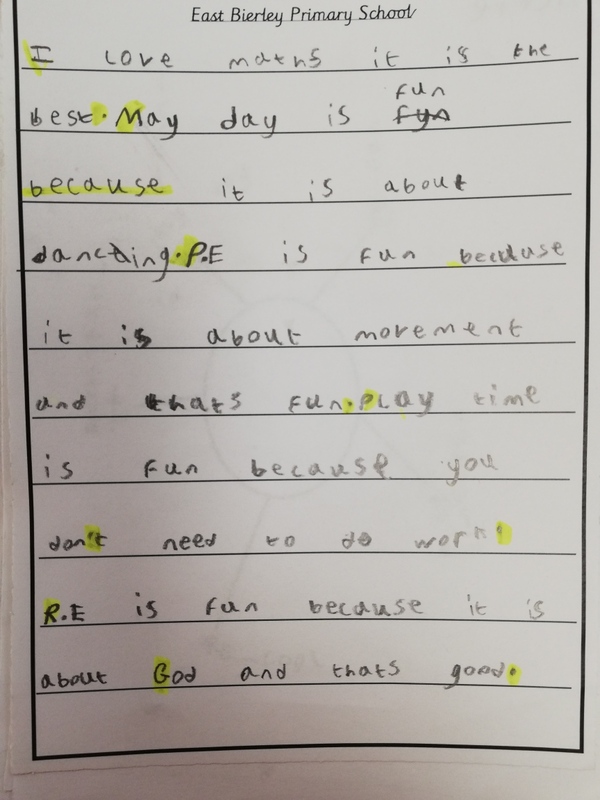 Alfie R – We get lots of exercise in PE. It keeps me healthy. We have a Head Boy and a Head Girl. They lead our democratically elected School Council. Our school council make decisions and run events within school. They decided that our harvest appeal this year would be to raise money for clean water in Mara through our local Diocesan appeal. They even counted the money raised - they wanted everyone to really think about how we take water for granted and use it frequently. They have voted to raise money for a homeless charity and have planned a bun sale to raise money. They have represented school at Huddersfield Town Hall as part of Kirklees local democracy week. Our Head Boy and Head Girl laid the wreath during the Remembrance Service on behalf of school. 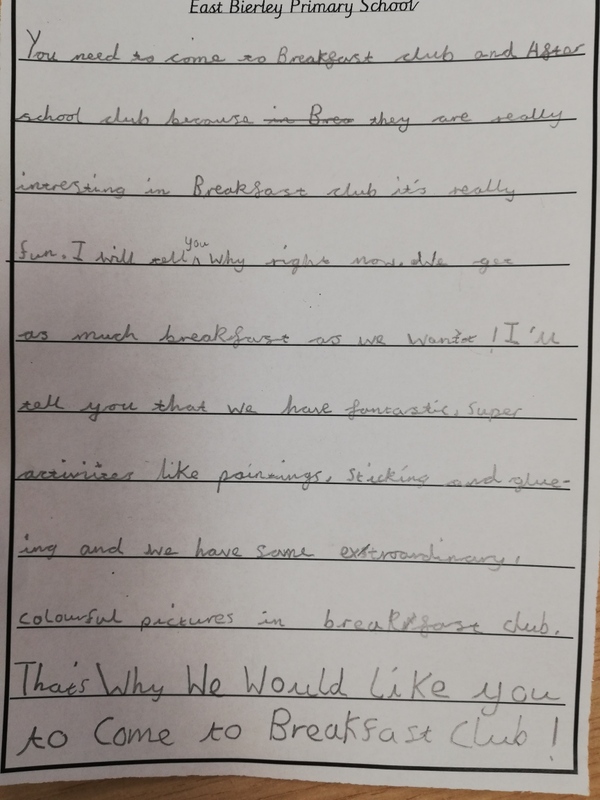 Our school council also have a role within school gathering some pupil views and part of our pupil voice. Our next elections will be held in May - at that stage anyone in years 3, 4 or 5 who wish to be considered will write their election speech and begin with a class based ballot. The four children who have most votes will be entered into the whole school election. We have a whole school hustings where all 12 candidates give their election speech. Children then vote for two candidates per year group (photos are used on the ballot paper) and every child in school has a vote! The school council (comprising 6 children from years 3, 4 and 5) will work alongside our outgoing school council and our head Boy and Head Girl. This ensures a positive transition. In our End of Year celebration we will announce who our new Head Boy and Head Girl are so our new School Council will be complete. Sometimes children who are not on the School Council wish to raise our awareness to a specific cause- they are able to lead this within school as part of our fund raising activities. This year 2 children spear headed our Daffodil appeal in school and last year we had children raising money for Macmillan through a bun sale. 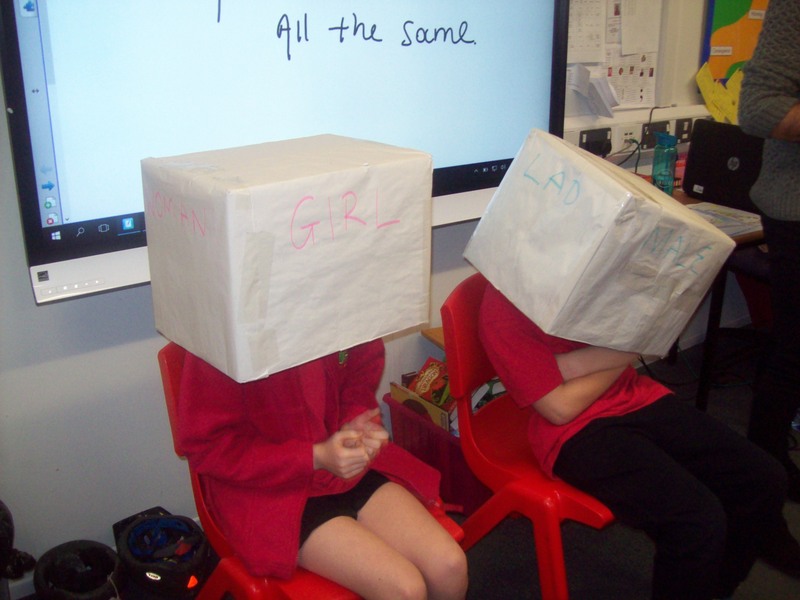 We have been working alongside Barnados to learn more about positive identities. We have a group of Ambassadors who have been trained too. They will lead our positive identities work in school and will lead an assembly to launch it.